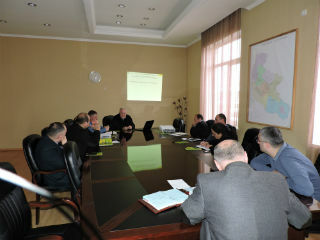 Community meetings on waste management issues are still underway within the project "Clean Georgia". The next meeting was held on February 19, in village Muzhava, Tsalenjikha municipality. The meeting was organized by the representative of the regional organization of the Greens Movement of Georgia / Friends of the Earth-Georgia, and the participants were able to get acquainted with the challenges of waste management globally, as well as problems related to waste management in Georgia. The conversation was about the problems existing in Tsalenjikha municipality. 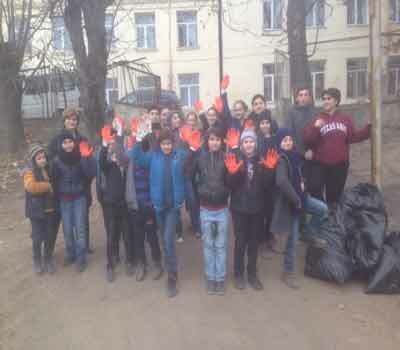 On February 10, at the initiative of Terjola municipality Mayor Mr. Bondo Sopromadze and with participation of the local coordinator of the Greens Movement of Georgia/Friends of the Earth Georgia a clean up action was carried out in Terjola municipality. The action was attended by more than 200 local residents, who cleaned up the both lines of 25 km section of Terjola-Kutaisi motorway. On 8th and 9st of February, 2018, Georgian Society of Nature Explorers Orchis organized meetings in the Administrations of the State Representative - Governor of Samtskhe-Javakheti (Akhaltsikhe City) and Kakheti (Telavi City) Regions. These events were attended by representatives of respective administrations, city halls of the municipalities that belong to the mentioned regions, limited liability companies and non-entrepreneur (non-commercial) legal entities. 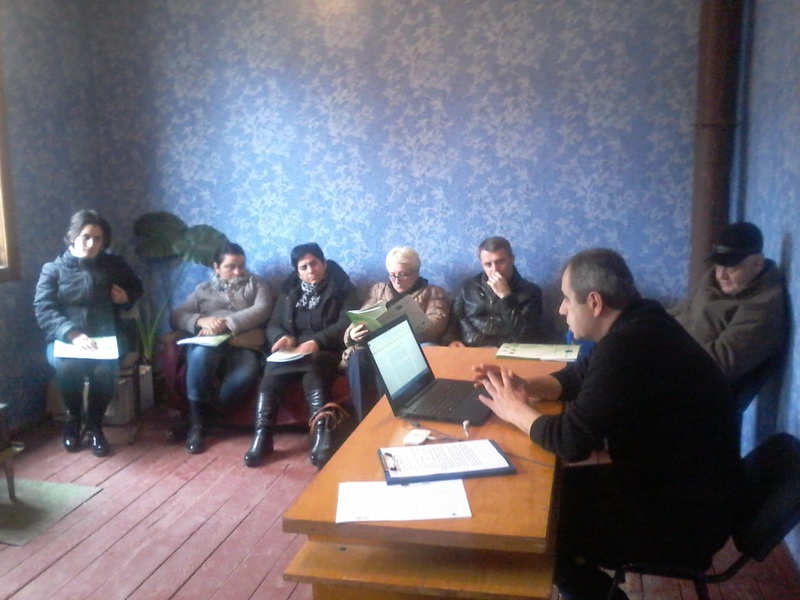 On February 13, within the framework of the project "Clean Up Georgia Phase III" a meeting was held with the residents of village Jumi in Zugdidi municipality, organized by local coordinator of the Greens Movement of Georgia / Friends of the Earth-Georgia. The purpose of the meeting was to provide local people with information on implemented and planned activities within the framework of the project, as well as the waste management situation in Georgia, international obligations and foreign experience in the field of waste management. The meeting was attended by 14 local residents. The NGO “Ecological Awareness and Waste Management” (EAWM) conducted another regional meeting on February 9, 2018 in Mtskheta, Mtskheta - Mtianeti region. Meeting was held in the framework of the ‘Clean Up Georgia – Phase III” Project aiming at informing the governance of the region on the hazardous waste (chlorine/chemicals) and threats caused by them on the territory of Georgia and in particular on the territory of Mtskheta – Mtianeti region. The NGO “Ecological Awareness and Waste Management” (EAWM) conducted another regional meeting on January 25, 2018 in Gori, Shida Kartli region. 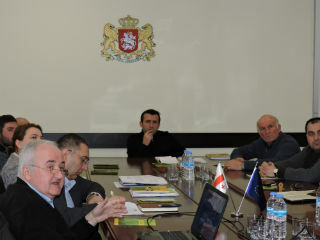 Meeting was held in the framework of the ‘Clean Up Georgia – Phase III” Project aiming at informing the governance of the region on the hazardous waste (chlorine/chemicals) and threats caused by them on the territory of Georgia and in particular on the territory of Shida Kartli region. 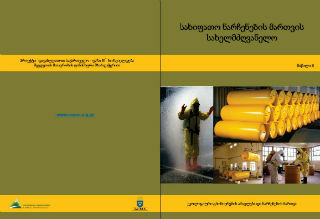 NGO "Ecological Awareness and Waste Management” produced another manual/guideline, “Hazardous Waste Management Guideline” Part II. The guideline is prepared within the framework of the "Clean up Georgia – Phase III" project, which reflects the risks caused by abandoned old chlorine reservoirs in Georgia and the ways of their further safe disposal. On 13th and 19th of December 2017, Georgian Society of Nature Explorers Orchis organized meetings in Tianeti and Telavi Municipalities. 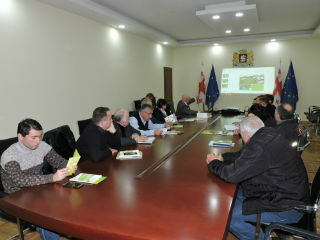 They were attended by representatives of City Halls of the mentioned municipalities. The NGO “Ecological Awareness and Waste Management” (EAWM) conducted the second regional meeting on December 11, 2017 in Ozurgeti, Guria region. Meeting was held in the framework of the ‘Clean Up Georgia – Phase III” Project aiming at informing the governance of the region on the hazardous waste (chlorine/chemicals) and threats caused by them on the territory of Georgia and in particular on the territory of Guria region. On December 15, in the framework of “Clean Up Georgia ”campaign a clean up action was carried out in Bolnisi municipality, organized at the initiative of the Greens Movement of Georgia/Friends of the Earth-Georgia, with participation of the teachers and pupils of Bolnisi public school N1. Within the scope of the action the pupils and teachers have cleaned up the public school surrounding territory, namely Sulkhan-Saba street. In total, 20 pupils and 1 teacher took part in the action and have cleaned up 1 ha area and collected 1.5 m3 of waste.